One of my favorite authoritative resources for terror-attack preparedness is a Rand Corporation book entitled "Individual Preparedness and Response to Chemical, Radiological, Nuclear, and Biological Terrorist Attacks." The author/researchers are Lynn Davis, Tom LaTourrette, David E. Mosher, Lois M. Davis, and David R. Howell. It's an unusually well-researched, to-the-point monograph focused on the steps individual citizens can take to improve their ability to survive a catastrophic terrorist attack. A scenario-driven approach identifies preparedness and response actions that enhance survivability in chemical, radiological, nuclear, and biological attacks. I have several copies of the book on order for resale that I will be making available for $23, shipping included. In the meantime, the book is available in pdf format online at http://www.rand.org/pubs/monograph_reports/MR1731/index.html . "Chemical attacks entail the dispersal of chemical vapors, aerosols, liquids, or solids that have hazardous effects on people, animals, or plants. Chemical agents can be released by a variety of methods, including by bombs or by spraying from vehicles. They affect individuals through inhalation or exposure to eyes and skin. Their impact may be immediate (a few seconds) or delayed (several hours to several days), and some chemical agents are odorless and tasteless (FEMA, 2002). "Numerous chemical agents could be used in a terrorist attack, including both industrial chemicals and chemical warfare agents. A large number of industrial chemicals might be used, including various acids, ammonia, chlorine, hydrogen cyanide, pesticides, or phosgene. The main chemical warfare agents include nerve agents (e.g., sarin, tabun, soman, VX) and blister agents (e.g., lewisite, mustard) (CDC, 2000). Chemical attacks can occur outdoors or indoors, with this distinction having significant ramifications for the best response actions. The area affected by a chemical attack is likely to be fairly small, on the order of a square kilometer (0.4 square mile). "Support from Officials/Governments. Because of the localized nature of chemical weapons and the lack of detectors, the government is not likely to play a role until after the dangers have largely subsided. At that point, it will provide emergency services to casualties and tell individuals when it is safe to go outside (if the attack was outdoors) or inside (if the attack was in a building)." "Individual’s Primary Needs. Fundamentally, in a chemical attack, an individual needs access to clean air within a few minutes or less. If exposed, individuals will also need access to medical care and may need to decontaminate themselves. Because official guidance will not be available until after the attack, individuals must act by themselves to minimize exposure." "If the attack is outdoors and you are outdoors, take shelter quickly in the closest building, close all windows/doors, and shut off the flow of air. If inside, stay inside. Then, to the extent possible, move upstairs, find an interior room, and seal the room. Remain inside until told it is safe to leave and then ventilate and vacate the shelter immediately. "If the chemical attack is outdoors, finding shelter inside is the most critical action an individual should take. Individuals already inside should stay inside. Individuals outside should get inside the closest building as quickly as possible. 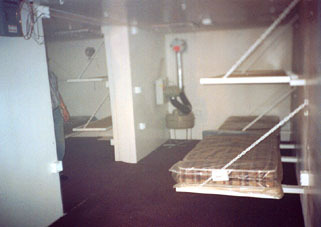 "Such sheltering provides protection by blocking the chemical agent out of a space that contains uncontaminated air. It is an attractive action for a number of reasons. First, it can be implemented very quickly. In an urban environment, an individual can probably move indoors in less than one minute. "Second, it requires very little information. There is no need to determine the location of the source or direction or speed of the chemical cloud. Third, and most important, it provides very good protection. Technical evaluations indicate that such basic sheltering can reduce chemical exposure by 75 percent or more compared to the exposure outside the shelter. These results are consistent with the outcomes of the aerosolized sarin attack by the Aum Shinrikyo group in a residential area in Matsumoto, Japan, in June 1994. In that incident, all seven people who died had their windows open. All of those individuals who had closed their windows—including many people closer to the source, those in units adjacent to buildings in which fatalities occurred, and those on the lower floors of these buildings—survived the attack (Yanagisawa, 1995). "Because of the variability and uncertainties in the barrier capacity of shelters, individuals should always attempt additional expedient measures. These include moving upstairs, into an interior room, and sealing windows, doors, vents, and other openings with duct tape and plastic sheeting or any other available materials. These steps reduce the infiltration rate of the outside agent into a shelter. Because most chemical agents are heavier than air, they will sink, and the highest concentrations will form at the lowest points. Thus, moving upstairs will take a person into an area where the outside concentration is lower, thereby reducing the infiltration rate into the shelter. Moving to an interior room puts more doors and walls between a person and the outside, which also reduces the infiltration rate. Finally, taping and sealing a room, as detailed in Rogers et al. 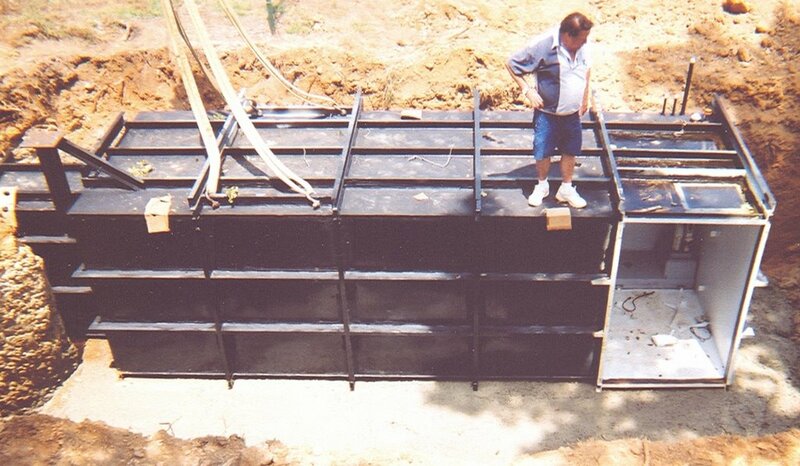 (1990) and Sorensen and Vogt (2001a), will improve the barrier capacity of the shelter and reduce infiltration. "Because shelters do not provide perfect protection, the chemical agent will leak into the shelter. After some time, the chemical agent outside the shelter will dissipate and the concentration will drop to a level below that inside the shelter." There is a wealth of practical preparedness and response strategy in this book. I will be posting more insightful excerpts regarding radiological, nuclear, and biological terrorist attacks soon.